You don’t have to know me well to know I’m not a runner. My inner critic says, You might know at first glance, but I tell that voice to hush up now. For various reasons, I haven’t run since a college-required fitness class, mostly because it felt torturous, no fun at all. Walking, hiking, YES, but even still, it’s only been in the last decade of my life that I’ve realized how much better my body – and my brain – feel when I move for 30 minutes most days and some days more. My funniest running memory? I set Toddler Tween on his feet in the park after releasing him from his car seat. He was so excited to see his friends on the playground that I said, “C’mon, let’s run!” He took three steps then halted, wide-eyed. “Wait! You know how to run?” Goodness. Still, I’ve always admired runners and the freedom they seem to feel in their bodies. I can’t remember feeling truly free in my body. Even when I’m hiking, enjoying spectacular vistas, I fight feeling sluggish. I have to push myself forward no matter how much I’m enjoying the experience. Last weekend I leashed up the dog and decided to shake things up: I decided to run. I had thought it through in advance since I walk this neighborhood almost daily. I walked down our street, then jogged the next leg. Walked half a block, jogged half a block. Walked the up-hills, jogged the down-hills. Wash, rinse, repeat for a longer distance than I usually walk in 30 minutes. I imagine even the dog was pleasantly surprised, and she indulged me by forgoing her sniff-and-water routine. I can’t even think about how I looked. It felt as awkward as I remembered, and different: no one required this of me, and so I could think about it as play. I felt new feelings in my knees, my thighs, my arms. My lungs filled and ached. I felt slightly light-headed in a not-so-unpleasant way. And I kept moving. I didn’t pass out and I didn’t die. Surprising even myself, I might have had fun. Rain has been splashing down this weekend. But in Costa Rica we hiked in the rain, played frisbee in the rain, didn’t mind the rain; so why should I let some glorious and much-needed NorCal rain keep me indoors? 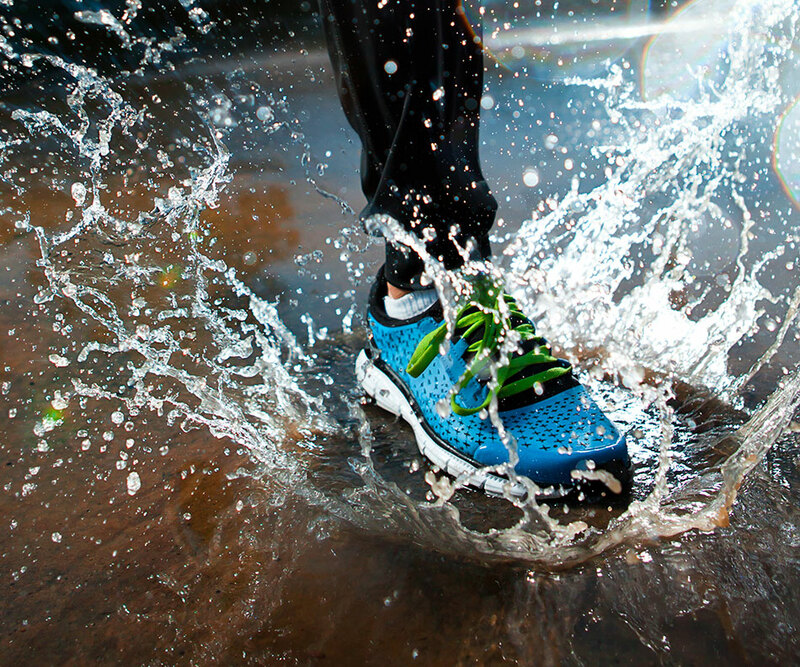 Besides, I heard the voice of a long-time runner friend in my head telling me that she loves running in the rain. Doggy hates the rain so I left her home. I donned my favorite kelly green windbreaker, put my phone in my pocket and headphones in my ears, and took the same route. Of course the heavens unleashed a downpour just as I hit the street. No matter. I thought about puddle jumping with a college friend during a big storm; our sweat pants got so wet-heavy we had to hold them up. I remembered puddle jumping with Teen as a preschooler. He wore his yellow rubber rain boots and yellow slicker, green froggy umbrella in his hand, as we danced and jumped and reveled in the rain. Head and heart filled with pleasant memories, I ignored my thudding steps and smiled. Just as I topped an up-hill and prepared to jog down the other side, my phone offered up the Glee version of Rhianna’s “Umbrella,” arguably my favorite Glee scene/song. I giggled. 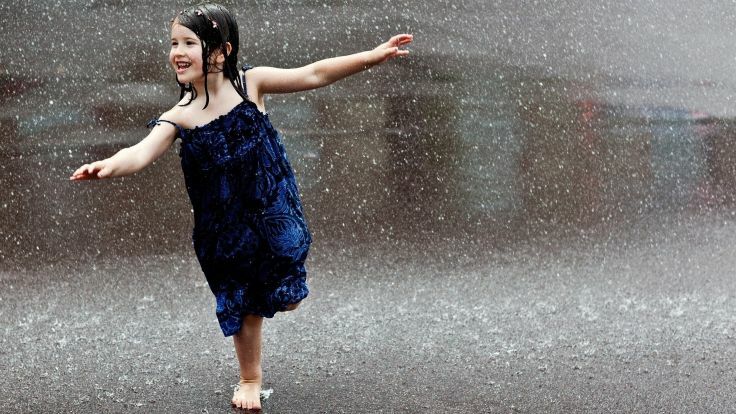 Not singing in the rain, not dancing, but running in the rain – playing, and enjoying it, even when it felt hard. If my wet hand could have dislodged my phone from my pocket, I would have put the song on repeat. Why did I run, not once but twice? I don’t know as it’s so out of character. All I can say is, I wanted to and so I did. I might even do it again, especially if it’s raining. This entry was posted in Uncategorized and tagged Costa Rica, exercise, Glee, health, jogging, joy, play, rain, running, Umbrella by Milagro Mama. Bookmark the permalink.